Choose from 74 sauna heater units & stoves - for dry, wet, hot rock, steam saunas and traditional saunas. This is the best selection of sauna heaters, stoves and sauna equipment - with sauna heater prices online! Our sauna heaters are shipped to customers in US and Canada from 2 shipping centers. Infrared sauna heaters are used to convert small spaces into low temperature infrared sauna rooms. Infrared sauna heaters that are carbon fiber are available from us. Our factory-outlet prices will save you money. Our volume purchasing means you get low, low prices! 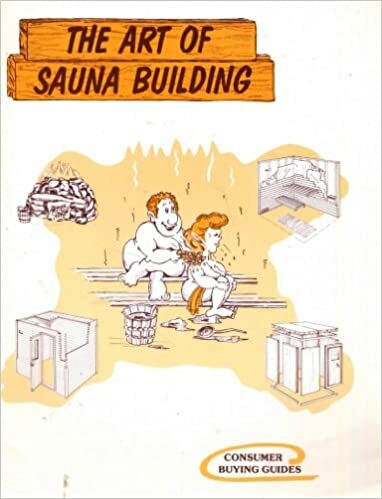 Every sauna heater is shipped with a FREE COPY of the best-seller sauna building book, "The Art of Sauna Building" . Over 65,000 customers have build their saunas correctly and installed their sauna equipment using the guidance in the sauna book. We appreciate your business! Our sauna experts are trained by our Finnish-born sauna-guru, Pertti Jalasjaa, to be the best in the business. Experiences from our 65,000 customers since 1974 will benefit you today in your sauna building project. Read More on: Why Buy Sauna Heaters Here? Reason enough to order your sauna heater today? Electric Sauna Heaters ... are the most popular sauna units in Canada and USA. Sauna Heaters for Sale ... the best sale prices for sauna heaters & stoves are here! Home Sauna Heaters ... are usually electric and chosen by 95% of sauna heater buyers. Heaters Sauna ... see 74 sauna heater models on this site. Electric Sauna Heater ... is the popular choice as it warms up in 20 minutes. Best Sauna Heaters ... often have lifetime warranty - they are available from this site. Best Sauna Heater ... is the high-efficiency Homecraft for performance and low cost. Best Electric Sauna Heater ... is the high-efficiency Homecraft for performance. Best Sauna Stoves ... are available from this website. Dry Sauna Heaters ... refer to home sauna heaters or electric sauna stoves. Dry Sauna Heater ... can be used as dry or wet sauna sauna stove. Sauna Heater Home ... home use is the largest sauna heater market in the world. Sauna Electric Stove ... is the popular choice as it warms up in 20 minutes. Electric Sauna Stove ... is the popular choice as it warms up in 20 minutes. Electric Sauna ... is a term applied to a dry sauna stove or sauna heater. Sauna Heater ... are sometimes called sauna units or sauna ovens in Europe. Wet Sauna Heaters ... refer to the same sauna heaters or electric sauna stoves. Saunas Heaters ... see 75+ sauna heater models and 125+ sauna kits on this site. Electric Sauna Stove ... is easier to install and cost more than $1600 less than a gas sauna heater. Home Sauna Heater ... is usually electric and chosen by 95% of sauna heater buyers. Rock Sauna Heater ... see sauna heater prices for all 74 sauna heaters on this site. Wood Sauna Heaters ... refer to sauna wood and a wood burning stove. Replacement Sauna Heater ... use an up-to-date sauna stove to replace old units. Homemade Sauna Heater ... is not recommended - it needs to be approved. Sauna Units ... usually refer to our sauna heaters or infrared saunas. Sauna Furnace ... refers to a sauna heater or sauna stove. Sauna Heaters ... are sometimes called sauna units or sauna ovens in Europe. Sauna Heater Prices ... are shown on this website to help you choose. Sauna Heaters Reviews ... are coming soon to this site! Kiuas ... this is the Finnish word for a sauna stove. Gas Sauna Heaters ... cost $2,000 to $3,000 more than electric sauna heaters. Sauna Units ... usually refers to our sauna heaters or infrared saunas. 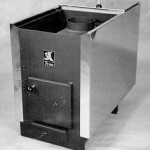 Sauna Furnace ... refers to sauna heaters or sauna stoves. Saunacore Sauna Heater ... made in Canada and approved by UL and CSA for use in the USA and Canada. Commercial Sauna Heater ... usually larger - 12 Kw to 21 Kw ... possible 208 volt. Stone Sauna Heater ... refers to a rock sauna heater or Finnish sauna stove. Saunacore Saunas ... Saunacore is one of the largest sauna manufacturers in North America. Saunacore Sauna Heaters ... Prices for Saunacore sauna heaters start at $449. Chromalox Sauna Heaters ... Very old heaters from 1970s and 1980s, parts are hard to find. Call us. Home Spa Sauna Heaters ... Very old heaters from 1970s and 1980s, parts are hard to find. Call us. Finska Sauna Heaters ... No parts available. Call us. Saunas4less ... is the marketing trade name for HomeCraft Saunas. Our large selection of 74 sauna heaters and 174 home sauna kits online is here at the sauna factory for Home Saunas Since 1974. Our sauna heaters are made by leading manufacturers like Saunacore, Homecraft, Fenno, Sampo ... shipped everywhere in the US and Canada.